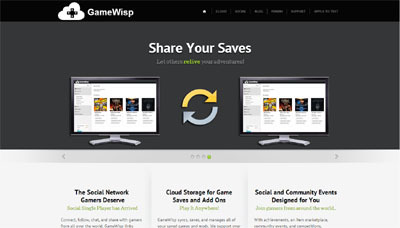 GameWisp syncs, saves, and manages all of your saved games and mods. We support over 400 games, and are growing every day. With gigabytes of space, you’ll never lose your progress again! Our game save cloud backup service works regardless of the game, OS, or the place you bought it. Whether you bought it from Steam, Origin, GameStop, Microsoft, or anywhere else, all your game saves can be automatically backed up. Additionally, GameWisp broadens your gaming experience beyond just the games themselves regardless of your platform. Connect, follow, chat, and share with gamers from all over the world. At launch, we will support guild management, community events, achievements, and all kinds of other fun social features. We make single player social!